He was captive in his life for a period of time , been trying to break free,but when the question arrives from his own voice, he don't have the answer, daring to end his misery because of his desperate. 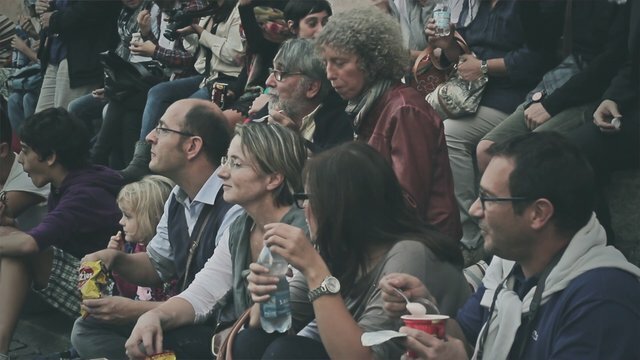 "E noi ci mangiamo sopra"
Breve documentario sul flash mob tenutosi il 19 Settembre a Parma, per manifestare contro l'ordinanza anti bivacco emanata dal comune di Parma. "La città va vissuta dai cittadini!" chillgroup AUTOPROMOTION 3 "The battle of Wwa"
And its on. Third autopromotion movie. This time we`ve joined our green super hero in not equal fight.